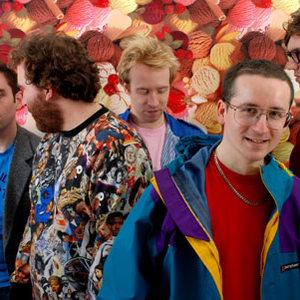 Hot Chip are an electronic/dance band which formed in London, England, United Kingdom in 2000. It consists of Alexis Taylor (vocals, guitar, keyboards), Joe Goddard (vocals, synths, percussion), Al Doyle (guitar, vocals), Owen Clarke (synths, guitar) and Felix Martin (percussion). The combination of Taylor's ethereal, high-pitched vocals with Goddard's warm, low pitch and the band's blip-blop electronics creates a dreamy sound. The band is best known for the hit singles "Over and Over" (2006) and "Ready for the Floor" (2008).